1. 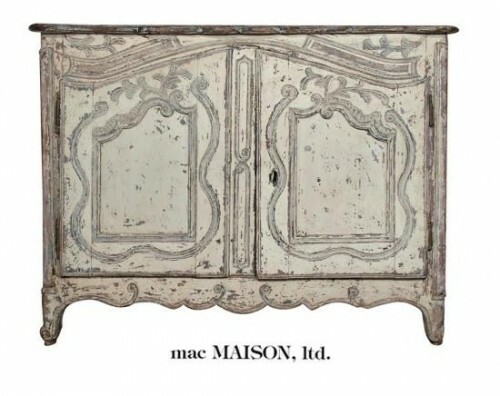 Start With The Right Styled Furniture- You cannot get the French look in your house without French furnishings. 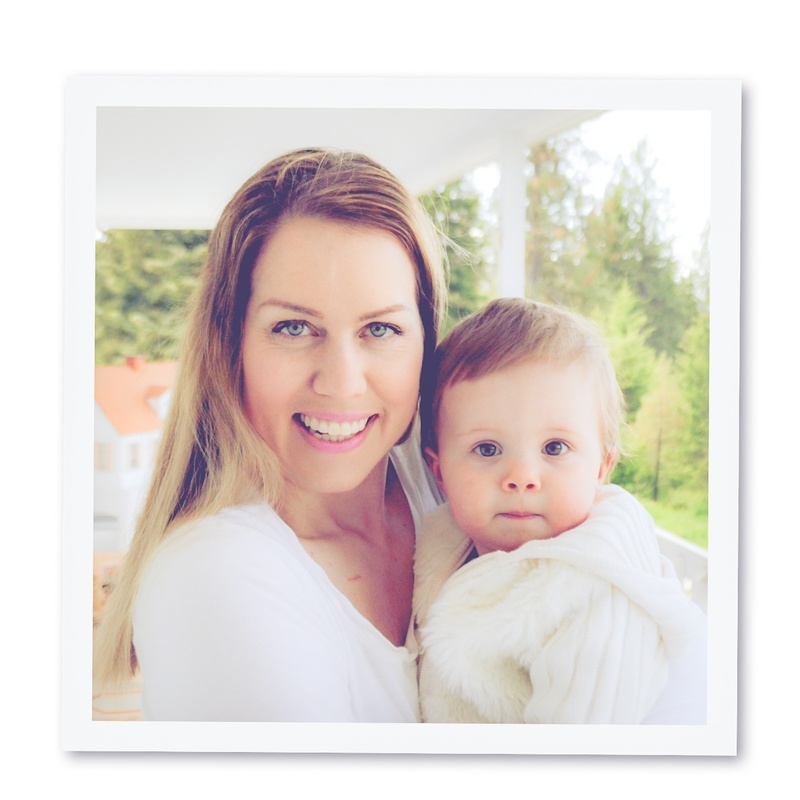 Shop online at websites like ebay, amazon,1st dibs and look for specialty retailers such as Wisteria and Restoration Hardware. Look in your local classifieds such as craigslist. 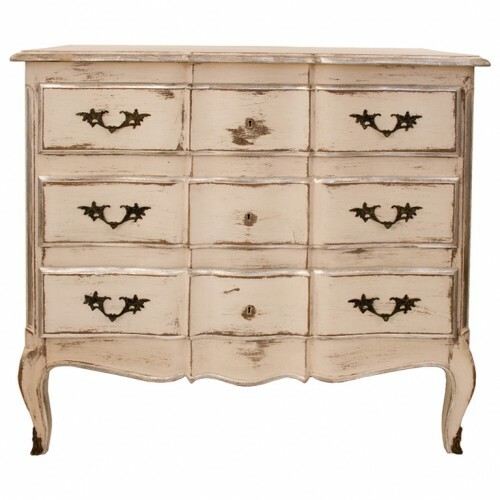 Vintage French furniture is very common, and has the right bones, and often times just needs a bit of lipstick. 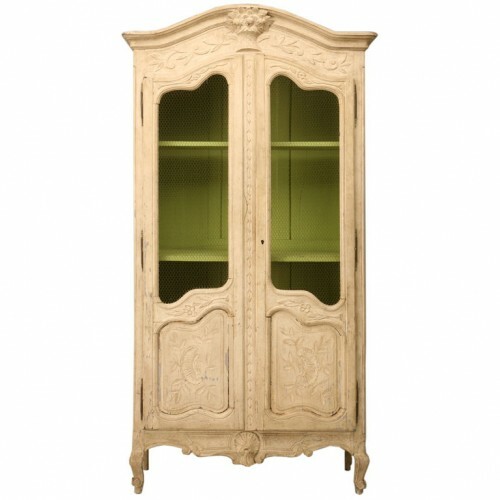 Buy vintage furniture and upgrade and trade out some of your lower quality pieces with genuine antiques as you go along. 2. 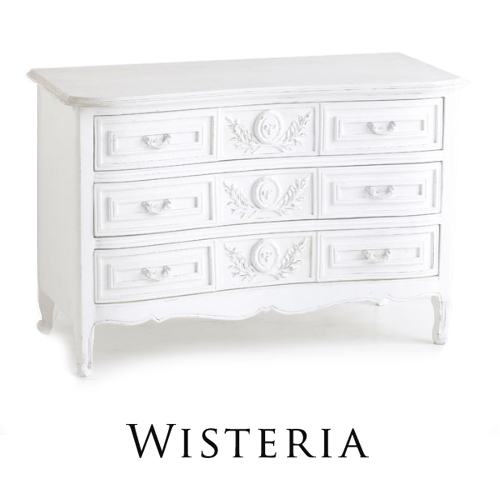 Painted Hardware -Wisteria has painted the hardware on this chest. The look is fresh and new. Often times finding the right hardware can be a battle on it's own. 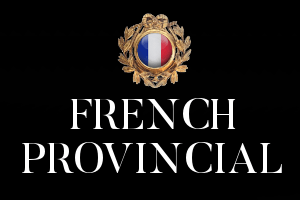 Consider keeping an eye on ebay for French hardware. 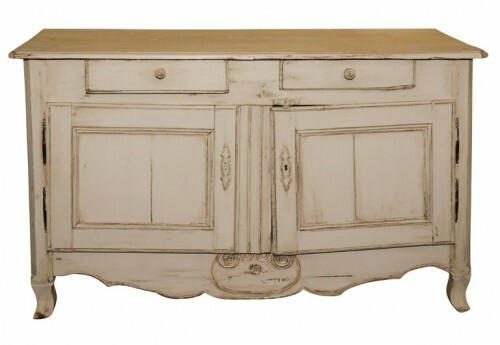 Esty has become another place to look for inexpensive French hardware. Hold out for getting the just right match for a special piece. Shiny brass is common, as well as a bronze for rustic Provincial furniture. In the past I have cheated and bought an oil rubbed bronze metallic paint which transformed my furniture quite nicely. If you do decide to take this route, consider priming your hardware with an automotive primer first. I have found this primer sticks to metal the best. 3. Pick The Right White. I just finished a summer of re-painting some of my older furniture in our home white. 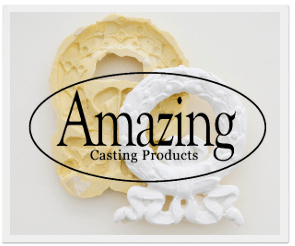 Picking the right white can really make your pieces look expensive than the rustic old cabbage and roses white that was popular in the 80's. Choose a color that is has a sight gray hue to it. Pick color families from beige, blue and green. The colors will have just a slight hue and makes a difference than a basic primer white. Brighter whites and glossy finishes work really well on modern Hollywood regency furniture and empire furnishings, but not so much on rustic countryside looks. 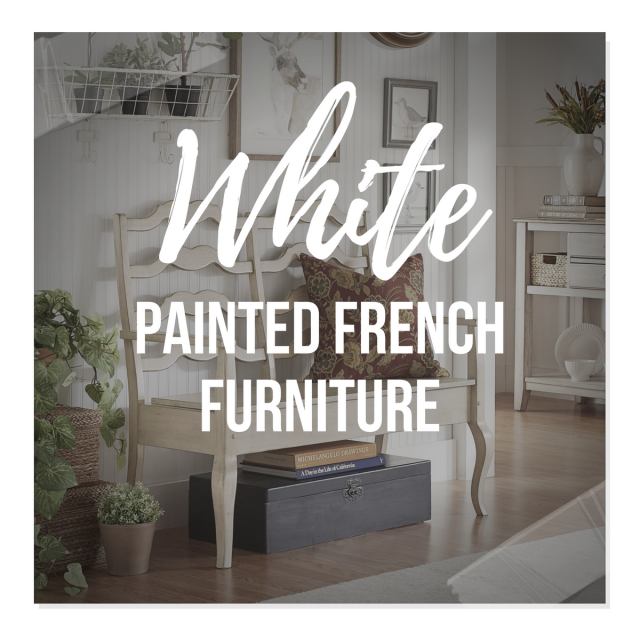 White is very rich, the hue just has to be right for Provence styled furniture. When white furniture is put into a white room, the furniture itself should look richer than the wall color. A gray hue will give you the just right pop of white in any setting. 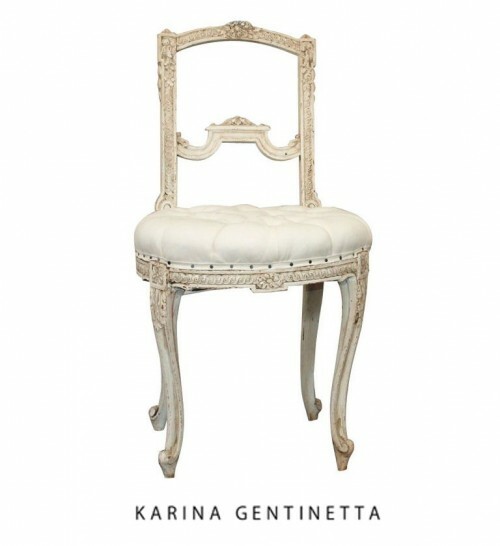 Tufted French Louis XV Painted Parlor Chair- Charming Louis XV french parlor chair, painted in a belgian white with beautiful aged patina and exquisite rose and ribbon carvings. Newly upholstered in an organic muslin with tufted seat. French Painted and Parcel Gilt Commode- A french painted and parcel gilt commode featuring two upper drawers and two full width middle and bottom drawer. Brass pulls and hardware. 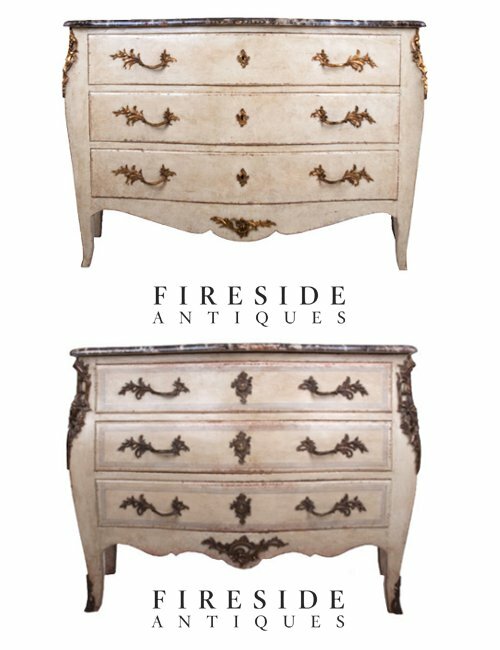 French 19th Century Painted Bombe Commode - his French Bombe commode has a wonderful shaped faux marble top, very abstract with wonderful coloring and patina. Solid brass pierced ormolu are on all corners, splayed feet, drawer pulls and escutcheon plates and plinth. 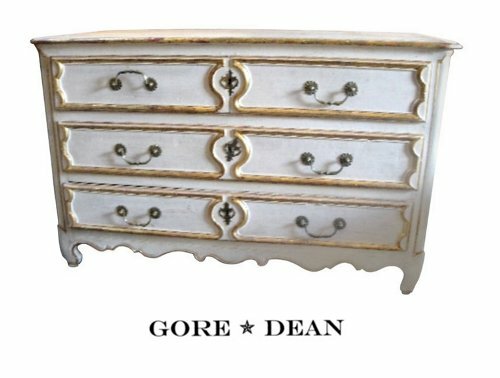 This exceptional three drawer commode has a soft feel with painted lined detailing around the drawers and shaped side panels. Faux marble top is outstanding!